Showman ® hand painted noseband with Celtic cross. 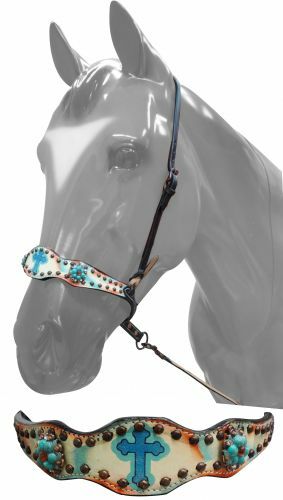 This noseband features an orange and teal washed leather with metallic blue painted celtic cross. Noseband comes with removable tie strap.